Once upon a time, when seasons or holidays arrived, I would tug out the plethora of change-out decor and set to work. Beginning early in the day, I was often ready for bed on time with the seasonal switch complete and tubs and boxes re-tucked in their proper storage places. For me, decor is part personal and part affability. I do like pretty things and feel coziest wrapped inside of well articulated ambiance. I have noticed others feel the same as well and so, for this reason, my decor is often considered with the viewing pleasure and comfort of others in mind. I want my home to tell a story at the same time it creates an inviting atmosphere of comfort. If home is where the heart is, shouldn't our homes bear the evidence? Your personal style and interests. What do you find charming and inviting? Don't worry about trend, it isn't about 'keeping up with the Joneses'. You (or your family or guests) will never feel truly comfortable in an environment which is plastered on from Pinterest templates in an attempt to keep up appearances. By all means, browse social media and magazines and books to find style inspirations which strum your heart-strings. Once you have hit the right chord, seek to try ideas which fit YOU and your family. Consider your likes, dislikes, experiences, mementos on hand and so on. Perhaps you have a favorite piece of art or trinket... build your decor around it. I love homes. I have collected Kinkade-esk styles of framed prints over the years along with trinkets, both received and found, which I scatter about our main living/dining room area. Bird homes make their way into my decor as well and all seem to tie together to wrap us in a garden of coziness. In my kitchen I have a favorite print done from an inside view of an old general store. I draw this element out with vintage signs, tins and other tidbits old and new to continue the theme. DO keep your family in mind. While you want to be comfortable in the space, you also want to compromise well with the other people in your home! If hubby isn't into frills and you are, marry the two with a masculine base accented by froofy highlights! A flower arrangement here, a lace pillow there... and so on. Be sure you talk with your husband about what he enjoys (or hates) in home decor and out of your love and care for him, craft a space you both can take pleasure in. If you have small kiddos, be realistic in your decor options. Create plenty of storage for toys and define areas for their play and 'work'. We always had a reading nook defined by an over-sized basket brimming with books flanked by cozy pillows or kiddy chairs in the corner of the living room. Sometimes the basket was stuffed with library finds, other times it held seasonal favorites. We also had a coloring shelf where they could grab the necessary materials and take them to a nearby table for hours of scribbling enjoyment! Is there somewhere convenient to kick off shoes and hang coats? Is seating easy to navigate? Is the entryway open and un-obstructed with clutter or furniture? People feel more welcomed not just by the smiling face which greets them at the door, but also by finding easy navigability and clear areas for them to lay their cares! Even if you have no entry way to spruce up, you can make the initial opening into your home one where guests can naturally breeze in and find a cheerful welcome. Make it personal. I see the various trends right now and I do find them charming, however, as magazines and social media seek to promote the latest decor, personal elements are often left out. Intertwining favorite items with family pictures is the quickest way to make your house a home. I think many have forgotten how cheap and easy it is to grab prints from a favorite store's photo department and slip them into even a dollar store frame to commemorate the simple and monumental moments of family life. Choosing trinkets which share your story is another way to add personal flair. A family heirloom vase from Great-aunt Betty or vacation novelty figurine from a trip to the beach can make for great conversation when company comes. It also helps you and your family remember history and your story, another element I feel is sorely missing from many modern homes. We don't truly have a good heading for where we are going if we can't pause to remember where we have been. Just so I am clear: While there is nothing wrong with buying all new if you have the budget... don't break the bank and don't feel it is necessary. Making a house a home only requires what you have on hand, and what you have on hand is likely to be what tells your story most intimately... the rest is bonus! It isn't about STUFF! I know it may seem like I am saying good hospitality and creating a welcoming home is about the stuff you display. On the contrary. You can have NOTHING and still be hospitable. No, my overall goal here is to notice how we all have stuff to varying degrees and we can all, whether by inspiration from magazines and social media or inward style giftedness, create and environment which is welcoming. Yet, at the end of the day, people really don't come to your home for your stuff... they come for you. Your hubby doesn't walk in from a long day at work looking for stuff... he walks in looking for you! Breaking the bank or running yourself ragged to create home will remove the most important factor of all: your heart and the peace God wants to pour to you, through you, and to others. Let that be your first order of business!! Taking time to thoughtfully consider how and what we place on our walls and surfaces can whisper words of peace and comfort to ourselves and others. Walking into a fresh home, anchored with love and careful consideration, can bring a soul to rest when it is weary from the world outside! 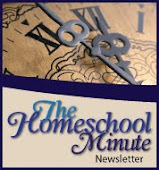 This week is Newsletter Deadline week. 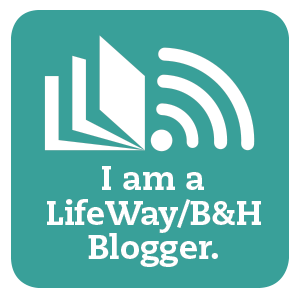 I will be working hard on finishing up content, FREE printables and sharing some behind-the-scenes tidbits on all things Faith and Home. Scroll down for more info and how you can sign up!